Civic engagement is the essence of democracy. Democracy thrives when ordinary people actively participate in their community. Our public schools are tasked to prepare our students with civic education, however often fall short. 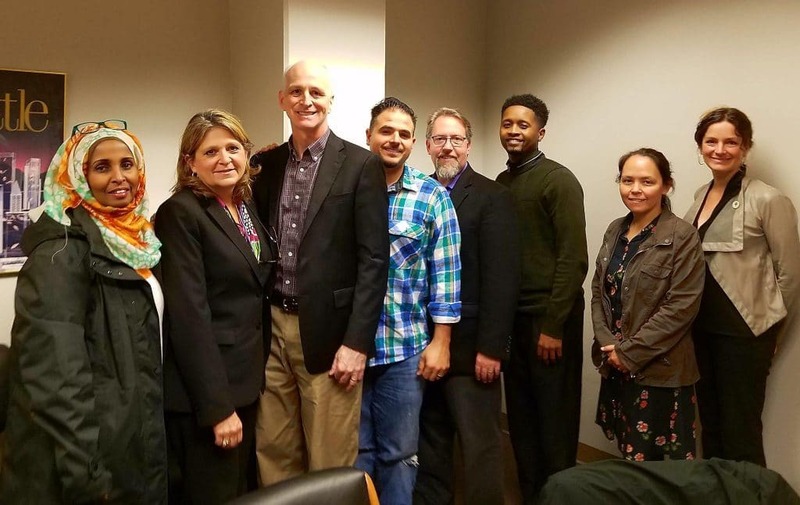 The Institute for Community Leadership along with Highline College, Kent Education Association, and Living Well Kent met with Congressman Adam Smith to urge his support for civic engagement in K-12 schools of the 9th Congressional District. 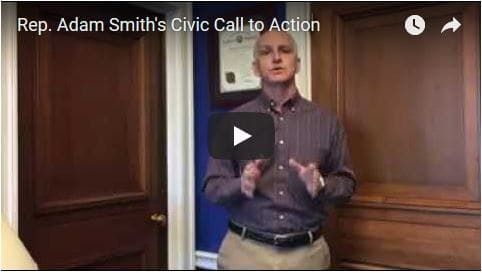 Rep. Smith has announced in a recent call to action, “Civic action is enormously important to building a better community and better country for all of us.” We extend our gratitude to Congressman Smith, for putting forth the central role of civic engagement and education for young people. Photo follows video below: From left, Shamso Issak, Living Well Kent; Dr. Karen L Bohlke, Institute for Community Leadership; Congressman Adam Smith; Alejandro Fernandez, Teamsters Local 117; Alan Sutliff, Kent Education Association; Loyal Allen Jr., Highline College; Tanya Powers, Highline College; Dr. Nyla Rosen, Institute for Community Leadership. → TO US YOU MATTER, Vote!